Tomorrow you may be confused by colleagues and management. Set aside important issues for other days, focus on the creative part of your work. 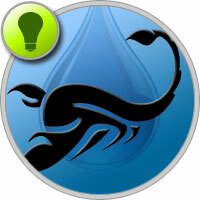 Scorpios career horoscope offers to begin to improve their skills and abilities. In the near future you have to do a large-scale work, so you should prepare in advance. Mercury in Aries gives resourcefulness, the desire for leadership. You will be able to carry out your plans if you find a common language with colleagues, at least try to do it.